Where did the First Seed come from? Plants started using seeds to spread their young somewhere between 385m and 365m years ago. 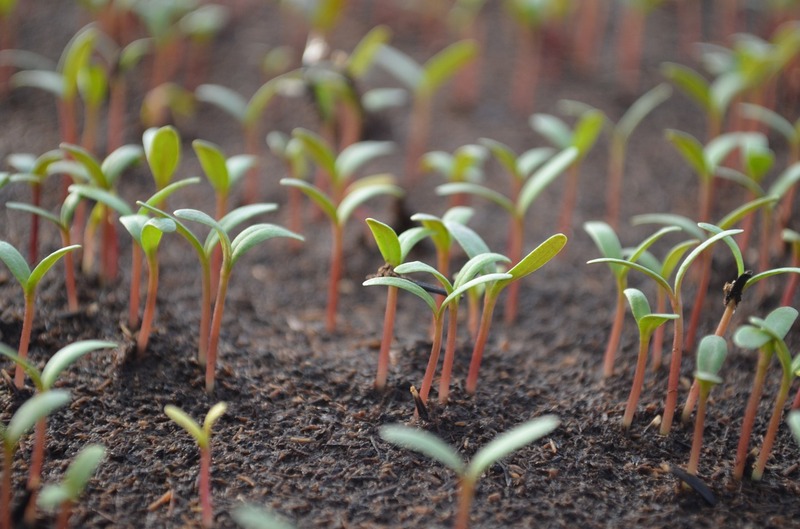 How did Plants Reproduce without Seeds? Plants haven’t always used seeds to reproduce. By the process of Evolution, seeds came together bit-by-bit over a really long time, as plants evolved. Plants started using seeds to spread their young somewhere between 385m and 365m years ago. Before seeds existed, plants had other ways of doing this. Back then, most plants used spores. Some plants today, such as algae, mosses and ferns, still do. You might have spotted the tiny brownish dots on the underside of fern leaves – these are spores. Spores on the leaves of a fern. Shutterstock. Spores are different from seeds in a few ways. A spore is made of just one part – a single cell – while a seed contains many cells, each with different jobs to do. Also, spores only have one parent plant, while seeds have two. When a seed starts sprouting, it can grow into a plant, just like its parents. But, spores have to work a bit harder: once they’ve travelled away from their parent plant, they grow into a little green plate of cells, called a gametophyte. Two gametophytes must join together before they can grow into a plant. It’s easier for gametophytes to join together when it’s wet – and that’s why plants that use spores usually need to grow in wet places. For example, horsetails are a very ancient type of plant, which like to grow along lakes, rivers and ponds: they have very strange spores with four “legs” which help them to move and travel further away. Scientists believe that an extinct seed fern, called Elksinia polymorpha, was the first plant to use seeds. This plant had cup-like features, called “cupules”, that would protect the developing seed. These cupules grew along the plant’s branches. Angiosperms are flowering plants – their seeds develop inside of the fruit, like apples, tomatoes or even rose hips or holly berries. While, Gymnosperms, such as pine trees, grow their seeds inside a hard cone. Seeds have evolved because they are better at helping plants to survive than spores are. For example, seeds contain a food source to help the new plant growth. They also have a hard coat, which helps them to live longer in different conditions: this means plants with seeds can life in lots of different places, from hot, dry deserts to cool, rainy places. Seeds are so good at helping plants to spread their young that most plant species on Earth today use seeds. What are the indifference curves? Explain their properties.